Personally, I have very little history with Jimmy Hart. I’ve seen him on plenty of past WrestleManias and other PPV’s, but he was pretty much gone by the time I started watching wrestling. I certainly enjoyed his work (especially with the Hart Foundation), but I didn’t have very strong feelings about it. His influence on music in the WWE has been reported in the past, but it’s never been too well documented. When I first saw the description of the new interview Jimmy Hart: Keep on Rockin’, I was intrigued. The subject matter is fresh, and the idea of doing a hybrid between shoot interview and concert was interesting. The total runtime of the main feature is around 77 minutes, with about 30 minutes of bonus footage from the interview. 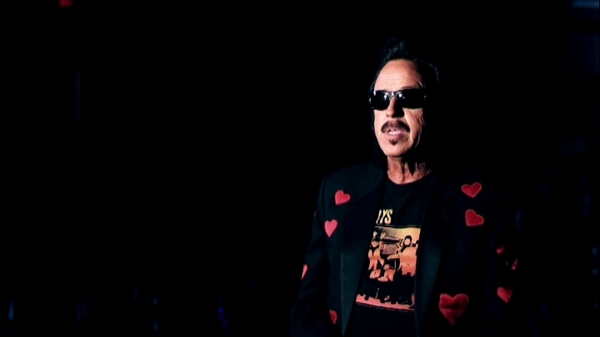 The large bulk of the runtime of the main feature is made up of the interview with Jimmy Hart. It is broken up into short segments discussing Hart’s early career in The Gentry’s, his transition to wrestling, and some of the key music he has had a role in writing throughout the wrestling world. This was pretty much all new information for me. I had no idea The Gentry’s were so successful, so it was nice to get a good deal of time dedicated to his music career. As big of a fan of wrestling as I am, I am also a huge fan of pop culture in general, so I enjoyed this segment. If you don’t care at all about the music industry, you will struggle to get through the first 20-30 minutes of this interview. Wrestling isn’t even mentioned until about 30 minutes in. 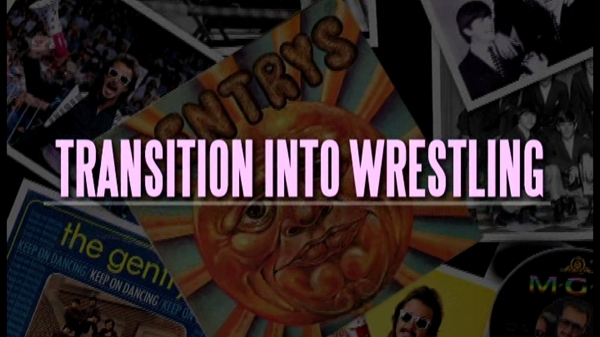 Hart’s intro to the world of wrestling was through music, and at this point in the interview, his career is pretty much exclusively viewed through the mirror of music. This approach helped give the interview an overall flow and purpose, without just being a simple timeline. It does veer somewhat close to that, but I think the music helped give enough of a through-line to keep things fresh. On the box art for this DVD, it is described as a “shoot interview”, and I don’t think this wording is completely appropriate for this particular DVD. When you hear the word shoot interview, you usually think of a wrestler telling bizarre backstage stories and giving us “dirt” on other wrestlers and storylines. You don’t get any of that here. This is a very straightforward interview about Hart’s music. If you told me that this was a release from WWE, I would believe it. There’s nothing in the interview that “exposes” the business all that much. Since the material discussed is so fresh, I still learned a good deal of information I didn’t already know. After watching through the whole thing, though, I can’t honestly say anything was too eye-opening. It’s interesting, but not shocking. What makes this interview stand out is the musical concert aspect peppered throughout the main feature. I’m not going to pretend that Jimmy Hart is the world’s greatest musical vocalist, but the energy he brings is infectious. I had a lot of fun with these little performances – such as “All American Boys” and “Hulkster in Heaven”. They rarely run more than a minute long, and they are used very sparingly. They certainly don’t overstay their welcome. In fact, I would have preferred that they were spread out a bit more evenly throughout the film. There are very few performance pieces in the first half hour, and most of the songs are used toward the end of the video. Since most of the songs he performs are wrestling songs, this makes sense, but there are still a few that could have been used earlier when talking about his music career. I wasn’t familiar with any of the songs he was talking about during this part of the DVD, so hearing the songs would have been really helpful. The most ideal situation would be to actually have classic concert footage, but I know with that comes copyright issues. At the least, we could have gotten a bit more music to add some context to the interview. As I mentioned earlier, there is about 30 minutes of extra interview footage, and each of these stories run around 1 minute long. They are usually out of context, and while they are occasionally interesting, they don’t add too much to the DVD. The main selling point here is definitely the feature film. If you’re a fan of Jimmy Hart or pop culture in general, I would recommend this interview. It doesn’t overstay its welcome, and is very entertaining. The film is definitely about music, though. If you don’t care about music, or if you’re main interest in shoot interviews is hearing “backstage dirt”, than I don’t think this interview is for you. Personally, I had fun watching it. It also doesn’t hurt that the film feels very professional. This is not always the case for independent wrestling docs, so I’m happy to see so much time put into making this a solidly edited film. It’s not groundbreaking, but it’s a lot of fun. 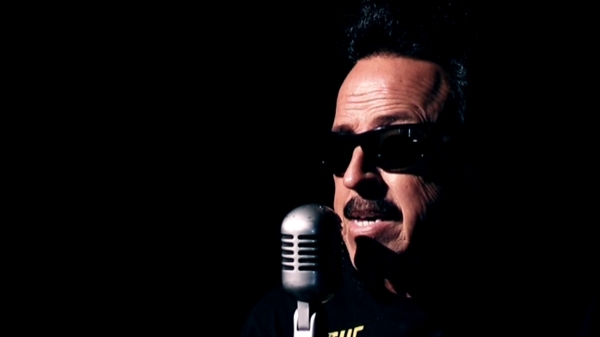 Jimmy Hart: Keep on Rockin’ is available on DVD now at JimmyHartFilm.com. Has anyone gotten their DVD yet? I ordered it not long after it came out and I’ve yet to get it.